NEW EDITION! 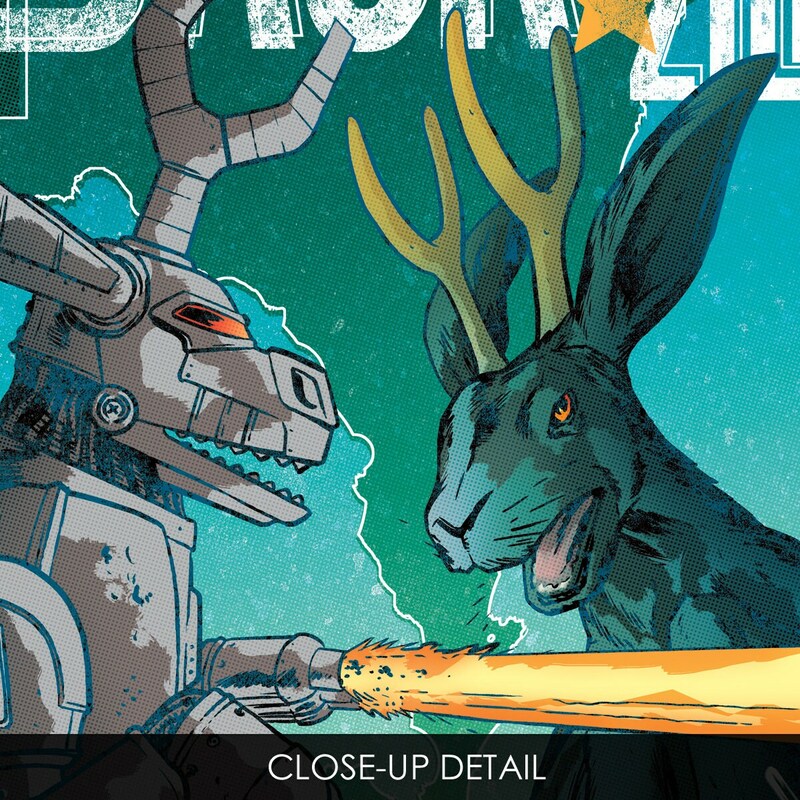 "Jackalope-Zilla Versus Mecha-Jack-Zilla-Tron!" art print by Rob Ozborne. THE STORY: The nostalgic grandeur of classic comics! The massive-ness of kaiju monsters! The Jackalope-ness of it all! 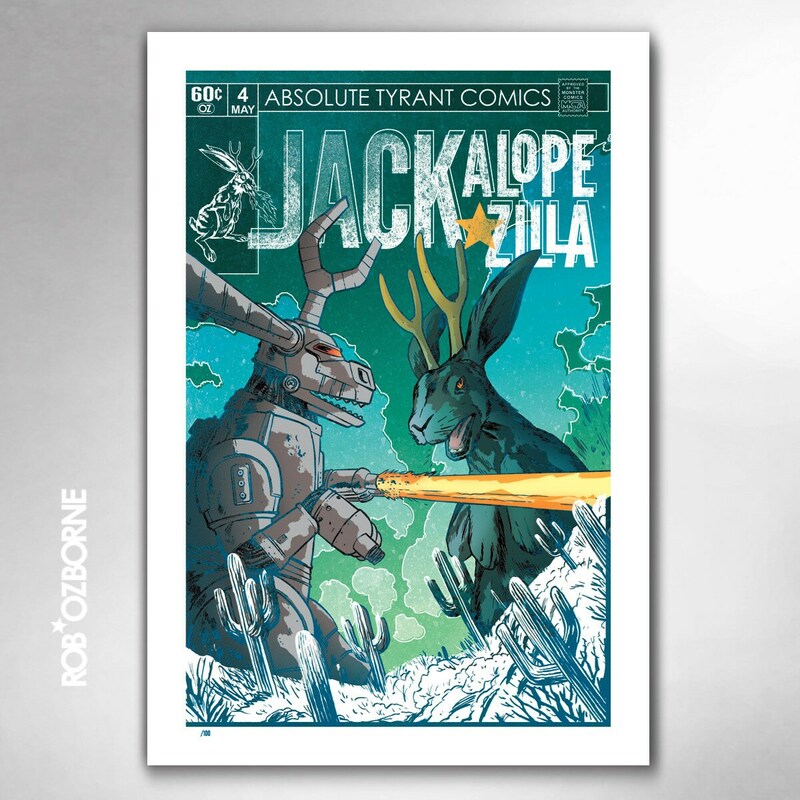 It's "Jackalope-Zilla Versus Mecha-Jack-Zilla-Tron", from the Jackalope-Zilla collection. THE PRINT: The artwork is printed on 13"x19" bright white matte art paper. The colors are rich. The frame is not included, but the print comes with a white border, and is ready to pop into a frame. This is a limited edition that is numbered (out of 100). Rocking a new coloration, this is the second edition of the "Jackalope-Zilla Versus Mecha-Jack-Zilla-Tron!" art print.